Boy Scouts of America - Field Trips Delivered! Merit badge achievement is an important part of rank advancement, and we understand that; Brett Butler achieved the rank of Eagle Scout in January of 2003, a pinnacle moment in his journey from boyhood to manhood. There are several Merit Badges that Field Trips Delivered can assist your scouts in achieving. 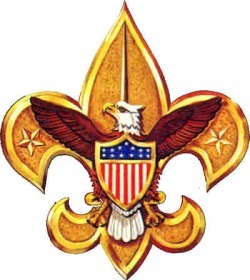 Click below on the title of the Merit Badge that your scouts are working on to see how we can help! Your scouts are in an important phase of their lives, and working to raise young boys into strong men is an incredibly important task. Thank you for stepping up to the plate to help raise our society's future leaders, fathers, and men.